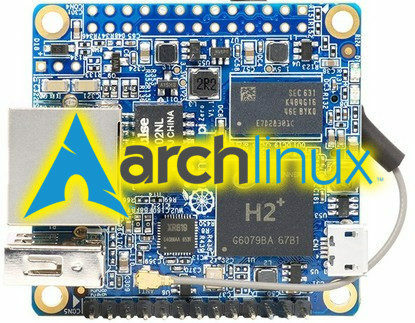 If you are looking for newer Linux kernel for OrangePi Zero with Allwinner H2+ CPU or OrangePi Zero Plus with Allwinner H5 CPU, you can use my repository. But only if you really know, what are you doing. Linux kernel is based on linux-sunxi. There ale also working U-Boot images and Device Tree with working WiFi. Just unpack arm64-<date>.tar.gz or arm-<date>.tar.gz files, copy Image/zImage kernel to the directory /boot/ and modules to the /lib/modules/ directory. Device Tree sun50i-h5-orangepi-zero-plus.dtb or sun8i-h2-plus-orangepi-zero.dtb copy to the appropriate location, for example /boot/dtbs/. Create file /etc/modprobe.d/opi.conf and place line blacklist 8189fs and/or blacklist w1_gpio. If you wish to compile yourselves, the appropriate .config files for Linux kernel and U-Boot are included in specific directories. There are also disc images with updated ArchLinux. Just unpack, create SD and boot. More about filesystem resize in the article Arch Linux on Orange Pi Zero. Příspěvek byl publikován 12. ledna 2018 | Rubrika: elektronika, ICT, IT, linux | Štítky: arch linux, kernel, linux, orange pi | Autor: Zdeněk Břicháček.